Imagine an incredible blend of softness and ruggedness warmth and coldness. A unique unthinkable and fantastic identity, a secluded world shaped by fire and tempered by the ice. "Imagine a different place to be, you are in touch with the land, the weather and nature”. Observing a land under two perspectives, an alien world, a unique portrait about natural beauty of Iceland. The eternal interplay of color and light of this ever changing remote land provides an inexhaustible source of artistic creation from the ground and from above. 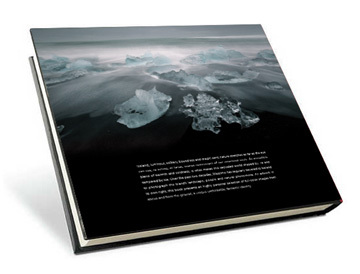 Discover "ICELAND - Visions of Earth". ENGLISH : "ICELAND - VISIONS OF EARTH"
FRENCH : "ISLANDE - ENTRE RÊVE ET RÉALITÉ"